Everyone from foreign countries have visited in and travel here in Hokkaido, Welcome to Hokkaido! Welcome to Sapporo! The shop is Sapporo city of Florist. Since English is not good, use Google's translation application, while ask the hope of flowers by e-mail, we have received your order. During the trip, the person who wants to gift flowers to someone special you are traveling together, I think if help is possible. Anniversary birthday Valentine Christmas marriage proposal, etc. 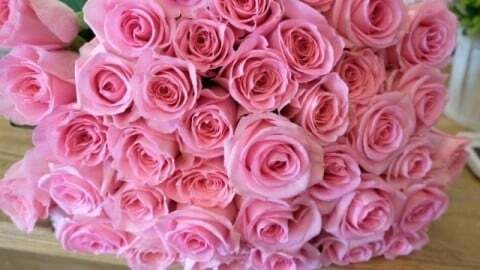 The most popular flower shop is a bouquet of roses! Woman that likes roses, all is universal like! Copyright©株式会社花の店　弥生 All Rights Reserved.